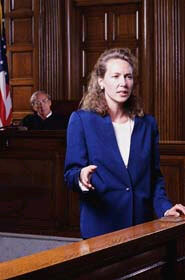 The Litigation Edge team uses an open approach to voir dire. We help you find out exactly what panelists are thinking. Our goal in voir dire is to assist lawyers in developing a dialogue with potential jurors, plant seeds about their case themes, and reveal bias. In conjunction with voir dire, we often use juror questionnaires to gain as much useful information as possible, allowing you to make informed strikes and challenges for cause that will actually stick. For more information about voir dire, go to the NEWSROOM and download our article and samples of juror questionnaires. Skilled voir dire is the only way to get a fair start in your case.